Since Mary Shelley’s Frankenstein first gave life to his Creature in the early nineteenth century, we have been fascinated by science’s ability to replicate and enhance human beings’ physical and mental capabilities. And we have wondered whether these machines could acquire human feelings and emotions. Could a robot have a soul? There are countless books and films about robots, androids and humanoids. They seem to return again and again to the possibility that in the future machines might not just act and think like humans; that perhaps they might feel like us too. Of course, in recent years we have seen science fiction evolve into science fact. And the discourse seems to be following the same path. Industry has already automated basic physical tasks, and is progressing onto the not-so-basic. With the onward march of AI, businesses are automating the mental functions too. Increasingly leaders are asking how many of the everyday exercises of commerce can be taken over by machines. And inevitably they are wondering whether artificial intelligence can feel as well as think. Will there be a time when we can entirely replace humans in the workforce? I think we may be getting ahead of ourselves. I’ve no doubt that some sectors and services will in time succumb entirely to automation. But I suspect that there are other services that are so central to our lives that they will retain a requirement for essentially human qualities: for emotion and empathy, sense and sensibility; for care, craft and creativity. Robots can act and think, but they can’t feel – or at least they can’t yet feel as well as human beings can. In the 1970s TV adventure series ‘The Six Million Dollar Man’ NASA astronaut Colonel Steve Austin is injured in a horrendous crash. Doctors manage to put him back together with the aid of bionic implants in his right arm, both his legs and one eye. When Austin recovers, he is fitter, faster and stronger than any normal human being, and so is put to use by the US Government fighting crime and foreign agents. When I was a kid I wanted to be a Bionic Man. I’d sprint in mock slow motion across the fields that backed onto our back garden, intent on intercepting enemy spies. With my infra-red vision, I’d spot hazards in the dark. With my robotic-enhanced strength, I’d throw cars out of my way. And all accompanied by the ‘dit, dit, dit’ sound effect of my bionics in action. 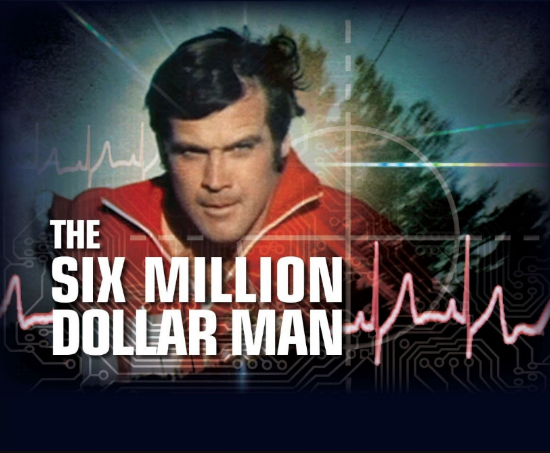 The appeal of the Bionic Man was that he had superhuman talents, but he remained fundamentally human in nature. He could run at 60mph; he had the strength of a bulldozer; he had a zoom lens in his eye. But he could also be brave, truculent, considerate, romantic. Critically he could feel. Imagine the Bionic Brand: a service organisation that integrates the advantages of automation with profoundly human qualities; combining technical efficacy with human empathy; functionality with feeling; calculation with creativity. An organisation where the machines supply the corporate IQ and colleagues supply the EQ; an organisation that is both high tech and high touch.